Last January 9, we held our District-Wide fellowship at Kapok Mission School and we worshiped at the temporary church building. We are planning to build another Mission School at Sitio Leing. The place can be reached within two hours of hiking, it is still surrounded by virgin forest. There are approximately seventy families living in the village and the children are more than one hundred. 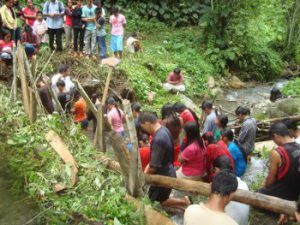 Last Sabbath we were able to baptize twenty-two precious souls at the hot spring of Sitio Leing. The hot spring is said to be the natural outcome of Mount Matutum according to philvocs because it is known as a sleeping volcano. 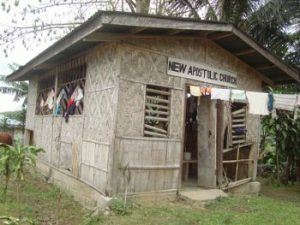 The New Apostolic Church in the village is now closed because almost all members of this church are now members of the Seventh-day Adventist Church. Most of them have no Bible and every time they ask for Bibles, it pains our hearts because we cannot provide for every family. The cheapest Bible in the National Book Store is eight dollars (four hundred pesos each) and we need fifty Bibles as of now. One of the newly-baptized members will donate a three-hectare land for the site of the New Mission School and that includes the area for gardening. What a joy it is to serve Him in the seemingly insurmountable areas where many people are waiting to hear the gospel message. It is our sincere prayer that God will continually sustain us all with strength and good health so that the work of saving souls will continue and the coming of our Lord Jesus Christ will be hastened. God Bless and More power! What item can you purchase for a small amount that could be the biggest investment of your life? Even as big an investment as a “precious soul”? The answer: A Bible. How many bibles do you have in your own house? What would your life be like without a Bible? What if you never owned a Bible? 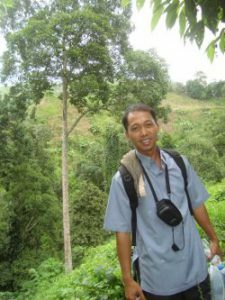 Pastor Joel Nacubuan has a whole church who love Jesus but are unable to have the joy you and I have because they have no bible. This is a sad story repeated often in the Philippines. Please DONATE Bibles for this new group of believers. They need 50 Bibles ($8 each). Your donated Bible will bring a precious soul or souls closer to Jesus and will foster more Evangelism in Philippines.